UPDATE 2: Now UP 844 is posting pictures of itself. UPDATE: another big celebrity signs up in preparation for Transcontinental tweeting. We’ve added it to the SteamCentral FriendFeed, where you can get everything in one RSS feed. The relaunch of SteamCentral last year was an outgrowth of my interest in and work with Web 2.0 social networking tools. In fact, I use SteamCentral.com as a demo when I give my Social Networking 101 presentation. I’ve got a new example. 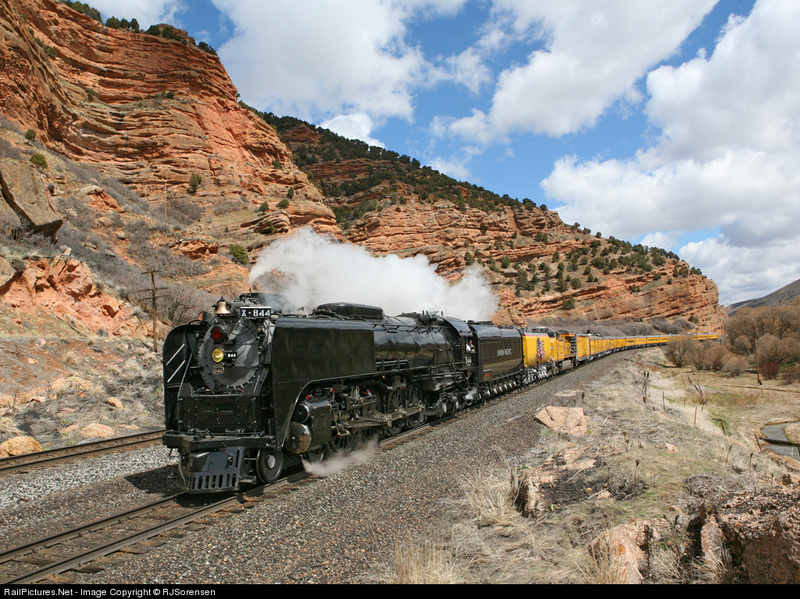 Union Pacific’s steam team has created a Twitter feed tweeting 844’s location, and linking to its GPS track. We’ve added the feed to the SteamCentral FriendFeed. Read more about Twitter, FriendFeed, and RSS here. 844 is not the first steam locomotive to have its own Twitter account, however – that honor probably goes to Nickel Plate 765. And, of course, SteamCentral has had its own feed for almost a year. If you’re one of the people who’ve heard of Twitter but haven’t created an account, let me suggest you try it. One of the many advantages Twitter offers is its ability to connect text messaging to the web, and to allow broadcast updates. Imagine chasing SP 4449 as it travels to Train Festival and getting regular updates – locations, expected delays, etc. – on your cell phone. Check out our Links for more Twitter feeds to follow. Steam locomotive operators might be able to use Twitter to generate revenue – offering a “protected feed” to donors. Are you aware of any other steam operators using Web 2.0 tools? For example, Lake Superior Railroad Museum maintains a Google Calendar. Post your examples in the comments.